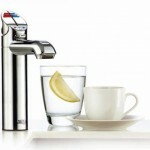 Ceramic water filters are considered the rollys royce in water filtration and purification systems. 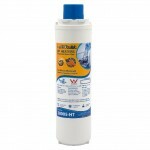 Excellent when used as a pre filter or in a Single Countertop System. Doulton the leaders in ceramic water filters have been manafacturing for over 100 years and were initially invented for the Queen to filter the water coming out of the thames river. 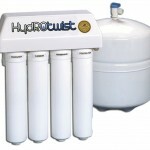 The two most common Doulton Ceramic Water Filters are the Sterasyl and the ultracarb. The sterasyl is a ultrafine ceramic filter capable of filtering down to 0.2 micron and are suitable replacments for the standard polyspun type pre filters. 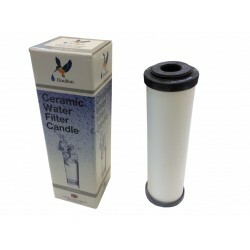 The Ultracarb is a dual stage ceramic filter featuring a carbon block inner core and a ceramic outer core making them excellent in single system such as benchtop or countertop water filters and single under sink systems (found commonly used in twin under sink filter set up’s with a polyspun pre filter). 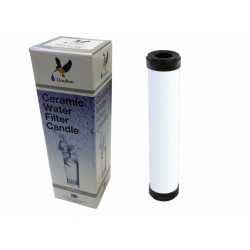 Doulton also manafactuer filters in candle format which are commonly used in Ceramic Becnhtop Urns, Gravity Feed Systems and Camping Systems. Doulton Ceramic Candles come in several sizes to suit any size system or urn. Candles come in different levels of filtration including; sterasyl, super sterasyl, super sterasyl ATC, Supercarb, Chlorasyl & Ultracarb, These range in sizes from 5 inch, 7inch, 10inch in standard and imperial. 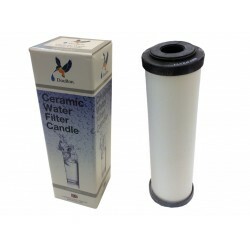 Standard doulton cartridges are 2 inches in diameter and imperial ceramic filters are 2.5 inches creating a larger surface area for filtering. 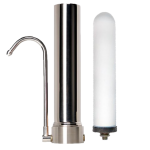 In Gravity Fed Systems imperial candles will produce water faster without compromising performance and in Under Sink or Countertop Applications Imperial filters will last longer. We also stock a range of HydROtwist ceramic filters excellent replacement alternative for the standard pre filters when you are on a budget. 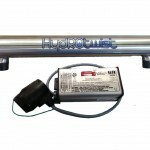 These don’t compromise water quality and provide affordable sub micron filtration at a fraction of the price. 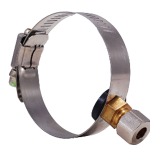 Our drop in style filters to suit benchtop and under sink systems come in two length sizes non standard 9 inch and World Wide Standard 10 inch. We also stock replacement ceramic candles for Stefani, Australis & Southern Cross Pottery Urns. 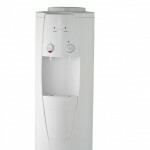 For assistance in choosing the correct ceramic water filter or for technical advice please contact us. Doulton Sterasyl Imperial Ceramic 9" Inch Water Filter. 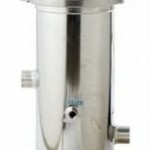 Self-sterilizing with sub-micron filtration at an economical cost. 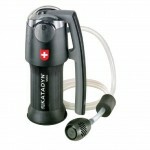 This cartridge can be cleaned with a scotch brite to maintain good flow.. 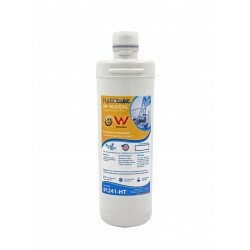 This cartridge fits Non Standard housings as well as any 9 inch water filter housing that..
Doulton Ultracarb Ceramic Water Filter Imperial Non Standard 9"
Doulton Ultracarb Imperial 9" inch Replacement Ceramic Water Filter Self-sterilizing with submicron filtration at an economical cost. 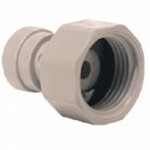 The Doulton Ultracarb fits non standard housings referred to 8-3/4" x 2-7/8 " cartridge's. 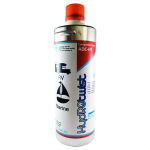 The Doulton Ultracarb reduces: - Taste & Odour - Chlorin.. The 10" Inch Doulton Sterasyl Imperial OBE Ceramic Water Filter is a self-sterilizing with submicron filtration at an economical cost. 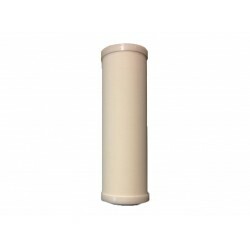 The Doulton Sterasyl fits Doulton housings as well as any standard water filter housing that requires a standard 9-3/4" x 2-7/8 " cartridge (248mm x 73mm). T.. The Doulton Ultracarb Imperial OBE Ceramic Water Filter is a self-sterilizing with submicron filtration at an economical cost. 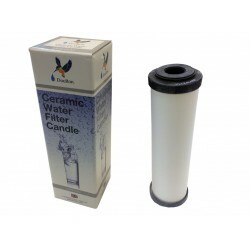 The Doulton Ultracarb fits Doulton housings as well as any standard water filter housing that requires a standard 9-3/4" x 2-7/8 " cartridge (248mm x 73mm). The Doul.. 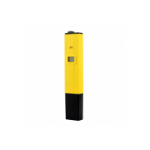 The 10" Inch Doulton OBE Sterasyl Slimline Ceramic Water Filter is a self-sterilizing with submicron filtration at an economical cost. This is a slimline cartridge at approx 2" in diameter. 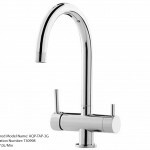 The Doulton Sterasyl fits Doulton housings as well as any standard 10" water filter housing that requi.. Premium 9" 228mm Ceramic Sediment Pre filter. 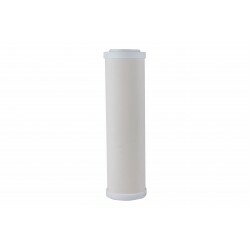 Doulton Sterasyl Compatible 9" 228mm 100% Cleanable/Washable with a Scoth Brite or Nail Brush Premium 9" Inch Ceramic Water Filter 0.2 Micron Pre Filter This is similar to the Doult..
Doulton Ultracarb Compatible Ceramic Sediment Carbon Filter 9"
Premium 9" 228mm Ceramic Sediment Carbon Prefilter Doulton Ultracarb Compatible 9" 228mm 100% Cleanable/Washable with a Scoth Brite or Nail Brush 9" Inch Ceramic Diatomite Outer Shell with a Coconut Carbon Block Water Filter Th.. 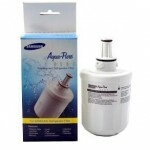 Premium 10" Inch Ceramic Water Filter 0.2 Micron Pre Filter Can be cleaned with a Scoth Brite or Nail Brush. 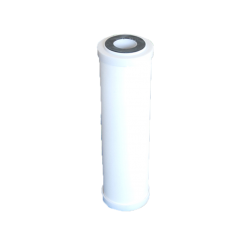 This is similar to the Doulton Sterasyl Water Filter Cartridge. 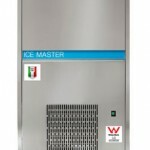 Lasts approx 2 years when regularly cleaned as above. Fits all standard 10" Housings Excellen.. Ceramic & Carbon Block Water Filter 0.2 Nominal Washable 10"
100% Cleanable/Washable with a Scoth Brite or Nail Brush Lasts approx 2 years when regularly cleaned as above. 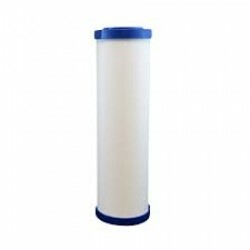 Premium 10" Inch Ceramic Water Filter 0.2 Micron with Carbon Block Inner Core This is similar to the Doulton Ultracarb Water Filter Cartridge Inbuilt 1 Micron Coconut Carbo..
HydROtwist CC1E-HT Upgrade Ceramic Water Filter 0.2 Nominal 10"
HydROtwist Premium Ceramic & Carbon Water FIlter Suitable upgrade for Pure Water Systems Water Filter Model CC1E-HT 100% Cleanable/Washable with a Scoth Brite or Nail Brush Premium 10" Inch Ceramic Water Filter 0.2 Micron with Carbon Block Inner Core This is simil..
Aquametix Cerametix Fluoride Ceramic OBE Cartridge 10" x 2.5"
Cerametix Ceramic Fluoride Removal & Alkaline PH 10" x 2.5" OBE Replacement Water Filter Cartridge. Made in USA. Whether for daily use or emergency preparedness, These Cerametix filters are ideal for use with just about any water source including lakes, rivers, streams, ponds, rain and tap w..
AquaMetix Cerametix Fluoride Ceramic Screw In Candle 10" x 2"
Cerametix Ceramic Fluoride Removal & Alkaline PH 10" x 2" Slim Line Screw In Candle to suit Stainless Steel Counter Top Bench Top System Made in USA. 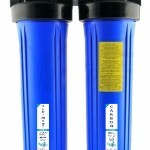 Whether for daily use or emergency preparedness, These Cerametix filters are ideal for use with just about any water source including lakes, ..